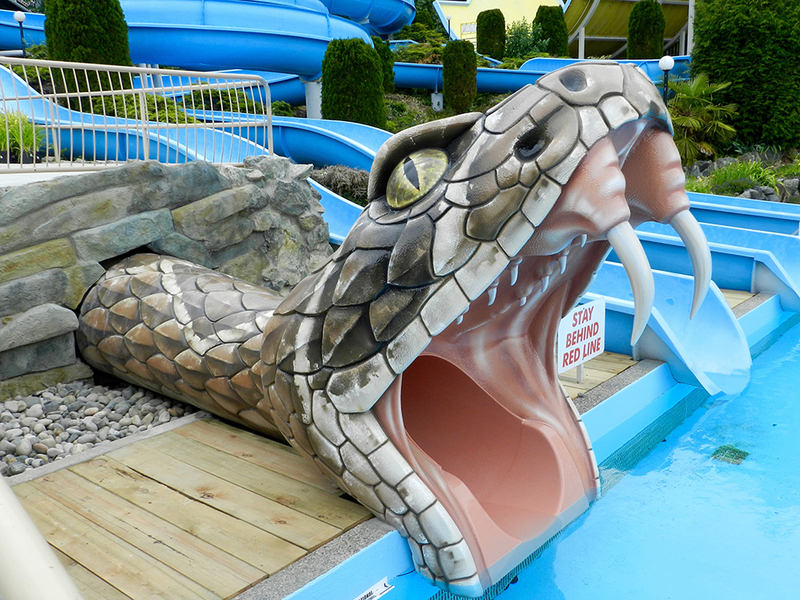 We hope you aren’t afraid of snakes! 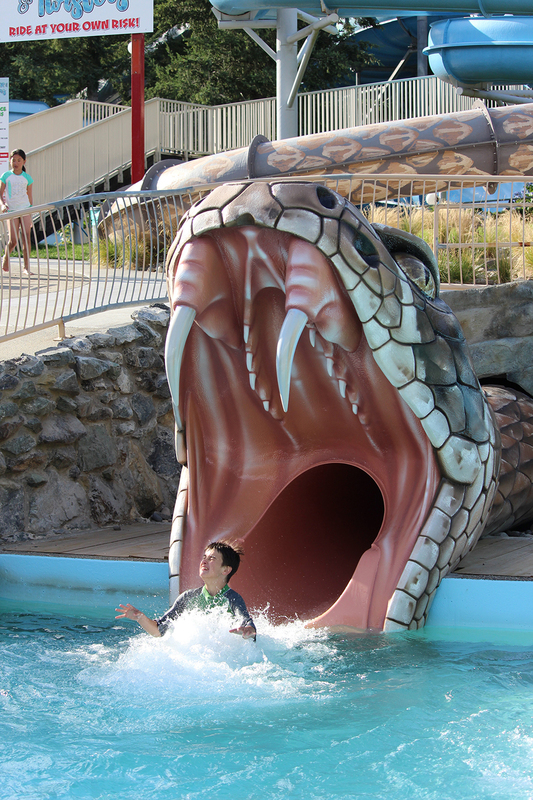 This is a black hole body slide that will take you slithering in between the Blaster & Twister slides into the pool below. 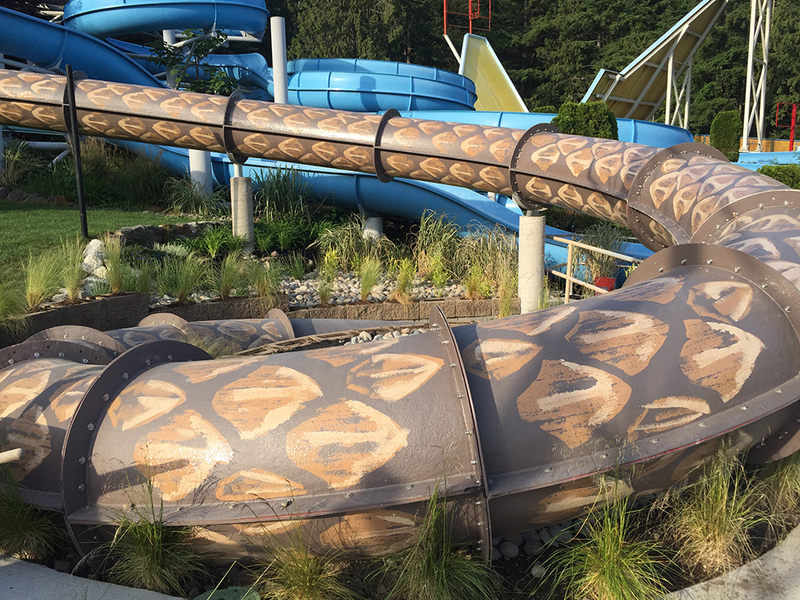 Picking up great speeds along the way, this waterslide is extreme! 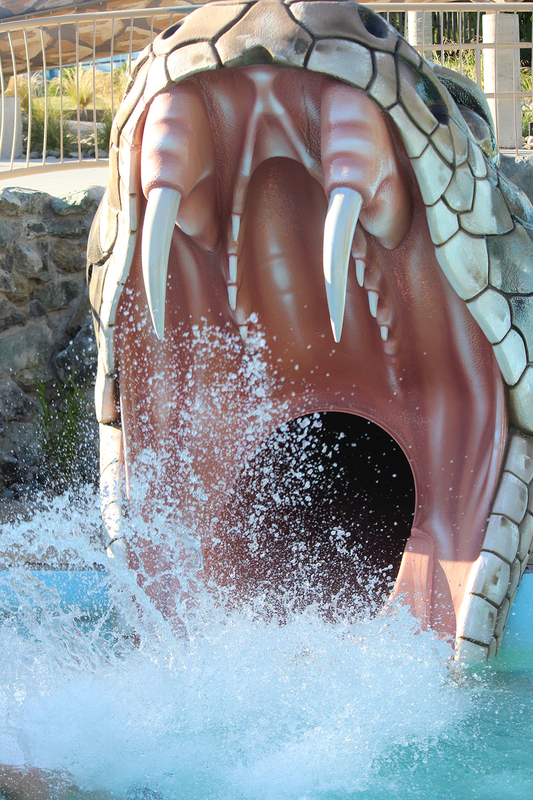 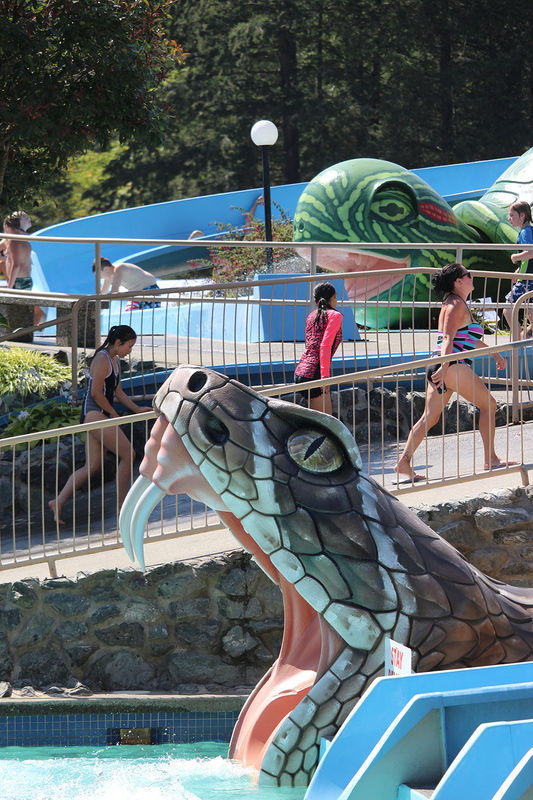 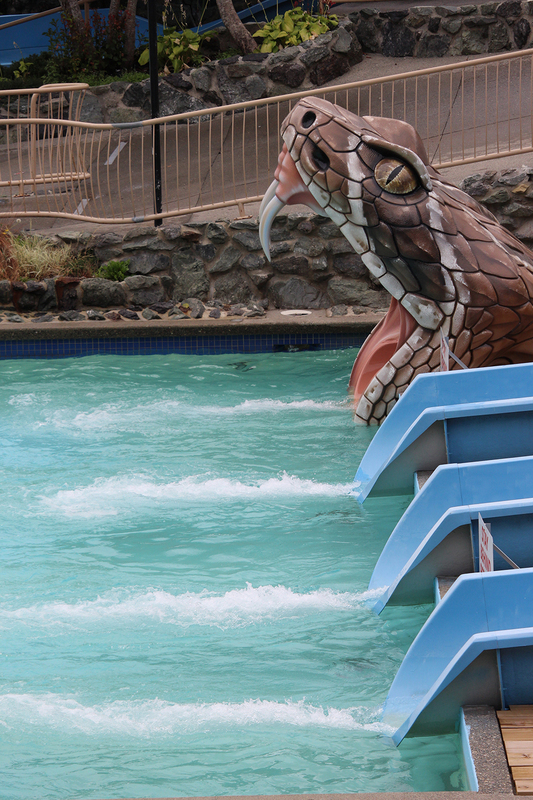 The ride ends with the slider splashing out from under the fierce and gigantic fangs of our mammoth-sized rattle snake. 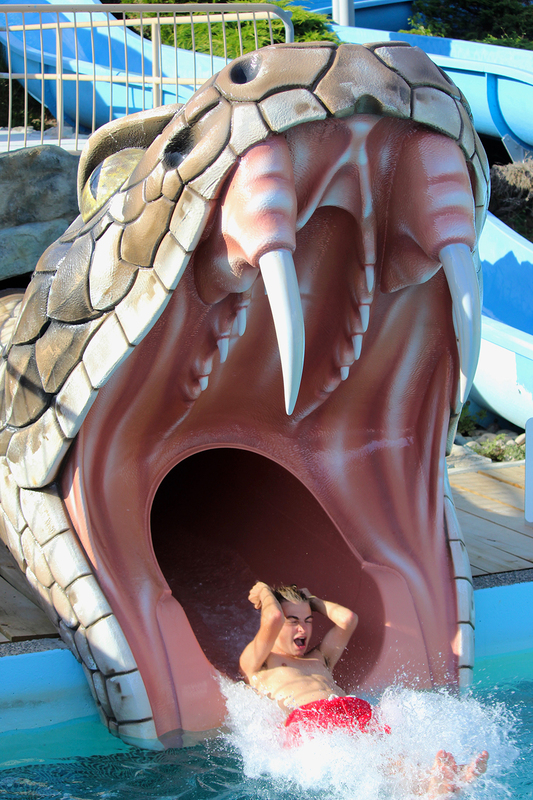 Must be 48″ tall to ride this slide. 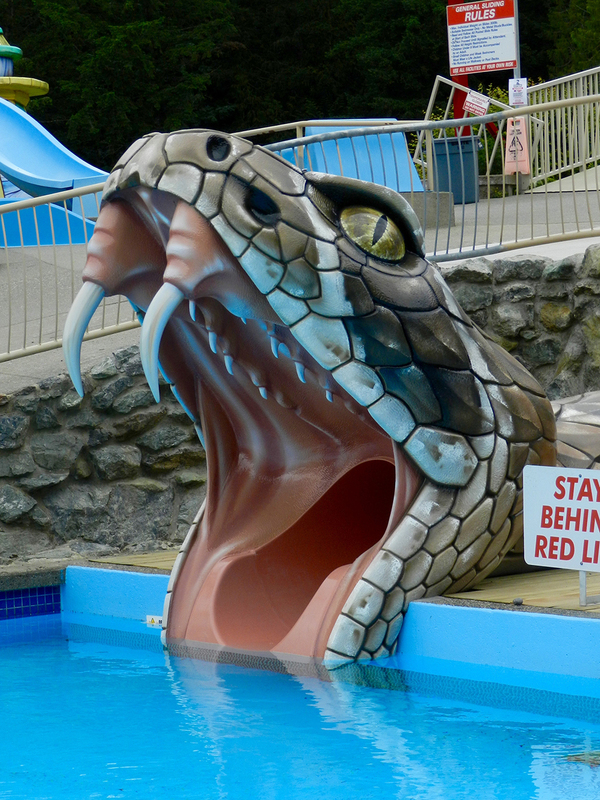 Under 48″ tall are not allowed. 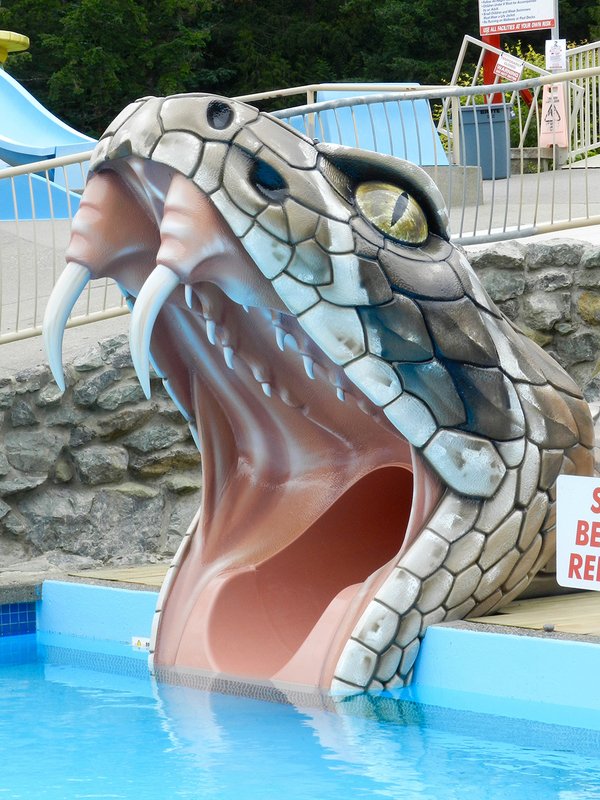 Also due to Manufacturer and Safety Guidelines, pregnant women and persons with heart conditions and/or head, neck, back troubles, or other serious medical conditions must not use the slides.